Eating contests aren’t exactly a new concept to restaurants, even if they’re more likely to end in failure and humiliation than success. As long as they supply food in ridiculous amounts, people will line up to try and prove their mettle. It ends up making a feedback loop that draws the best — or maybe worst — out of chefs; in one instance, it led to the creation of a nightmarish new burger. Yorkshire restaurateur Michael Hewitt decided not only to create a whopper of a challenge, but to have two culinary worlds collide. His vision: to combine the American sensibilities of the hamburger with the British traditionalism of the Yorkshire pudding. 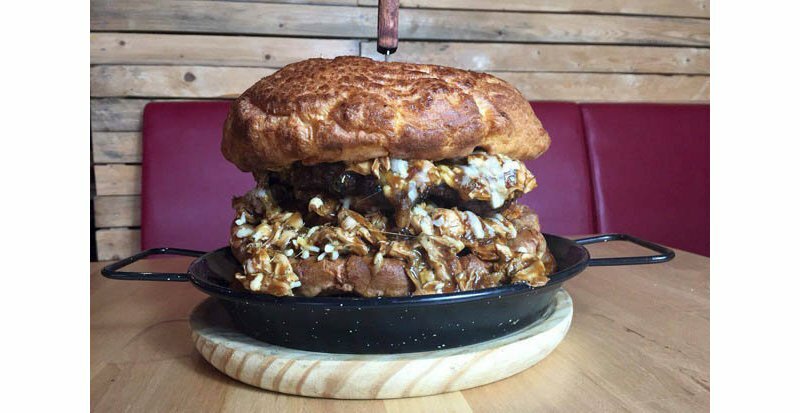 The resultant burger is a foot-tall mountain of patties, chicken, cheese, and fries; all of it is crammed between two servings of the pudding, which in their own right are the size of dinner plates. 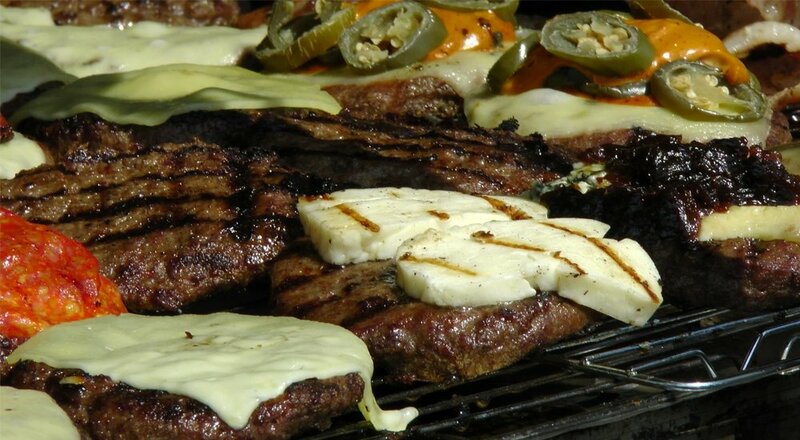 Its calorie count is thought to be around five thousand — more than double the amount a man should eat in a day. The new burger is a fixture of Hewitt’s restaurant, Smokehouse. Anyone brave enough to challenge it can do so for the chance at a free meal, a T-shirt, and their time in the limelight. Thus far, no one has been able to conquer it — and incidentally, that’s not the only food challenge on the menu. It’s as if Hewitt has tried to lock down the market on unwinnable eating challenges. One can only hope he doesn’t put his clientele’s lives in jeopardy.